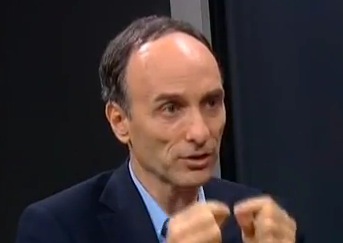 Listen to GMO expert Jeffrey M. Smith link GMO food to colitis, Crohn’s & ulcers. Scroll forward to his segment. Then go to www.organicconsumers.org and write to your congressional reps, demanding the abolishment of GMO foods. by David Klein, Ph.D., H.D. Please visit www.vibrancemagazine.com and support your healthful lifestyle with the world’s only magazine that dares to tell the whole truth about human health. More and more of my new clients have come to me after they had developed colitis and Crohn’s as a result antibiotic use. Antibiotics wreak bowel health! It’s really easy to see that “anti – biotic” = “anti – life.” It’s common sense that health restoration is never the result of putting herbicides or pesticides in our body! Medical people blame germs (or bacteria) for causing inflammatory bowel diseases, ulcers and countless other illnesses of which they have no understanding, but it just isn’t so! Over 100 years ago, hygienic nurse Florence Nightingale loudly proclaimed that Pasteur’s “germ theory of disease causation” was false, and those “soft in the head medical men” who followed that notion were an abomination. Even Pasteur eventually admitted he was wrong. Today’s men and women of medicine still don’t know physiology. It’s the soil, not the bugs that eat the soil, that is the cause of toxic bowel diseases. In other words, the decomposing, toxic dietary debris in our gut is the culprit, not the microorganisms which eat and breed in the rubbish. The more rotting debris we harbor in our gut, the more bacteria we’ll have — they are incidental and serve the naturally beneficial purpose of breaking down and recycling wastes. Analogously, if we don’t want flies on our garbage, we should stop producing garbage! If we try to kill the bugs with poison, we’ll only add more poison to an already toxic body and make matters worse. Healing cannot happen that way; medicines and toxic herbal remedies can only temporarily suppress symptoms and health-restoration actions, further enervating our body and tearing down our health. The symptom relief only fools us — we’ll become sick again and further deplete our vitality and advance the aging process if we choose more antibiotics. Health restoration does not work that way. 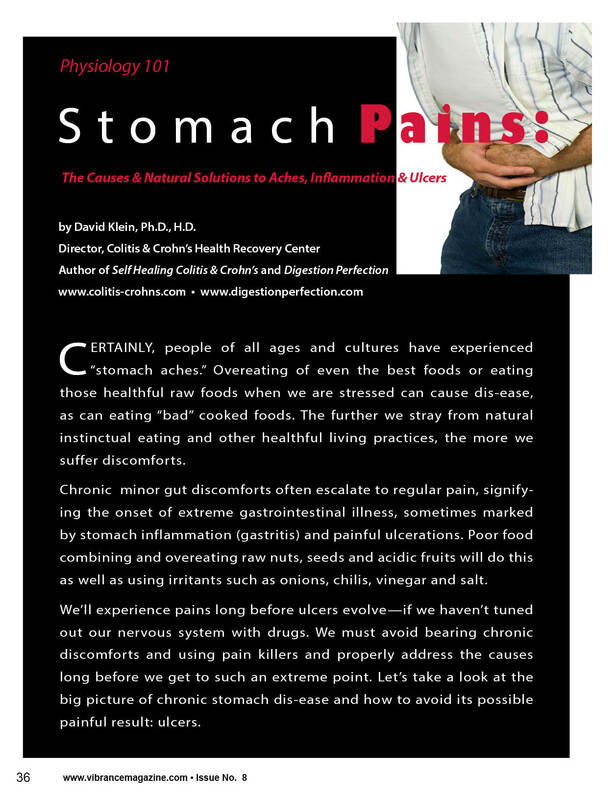 We need to stop eating indigestible, toxic, biologically-incompatible pseudo-foods and get onto a lifelong drug-free program of biologically-correct healthful eating and living, as detailed in my Self Healing Colitis & Crohn’s book. When we cooperate with Nature we can detoxify, heal, rejuvenate and thrive, putting the rubbish-gobbling germs and pharmaceutical companies out of business. Suffering with GERD, IBS, belching, gas, gastroparesis, constipation, ulcers, colitis, Crohn’s? Are you or someone you care about suffering with GERD, IBS, belching, gas, gastroparesis, constipation, ulcers, colitis, Crohn’s, or any other gastrointestinal malady? They can all be solved, and perfect digestion and bowel function can be attained — permanently! What and how we eat are the keys. Modern haphazard, starch and meat-based diets don’t work. By learning how to eat natural digestible foods in a manner which results in perfect digestion, internal cleanliness and optimum nutrition, anyone can transform digestive hell and poor health into heaven in quick time. I know — I did it (25 years ago after a horrid illness) and so have thousands of my clients over the past 17 years. 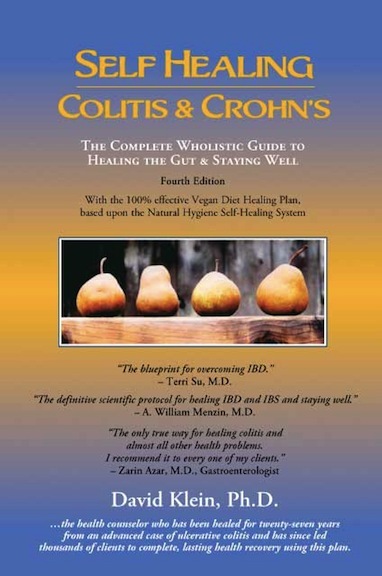 My medically-endorsed bestseller, Self Healing Colitis & Crohn’s, teaches precisely how to attain perfect digestion and g.i. health, and I will be glad to guide you or yours there. Please visit: www.DigestionPerfection.com and contact me with your questions. I am available to help right away.